Thank-you to everyone who attended our Grand Opening, and helped to make it happen. Visit our Facebook Page to view more great photos from the event! 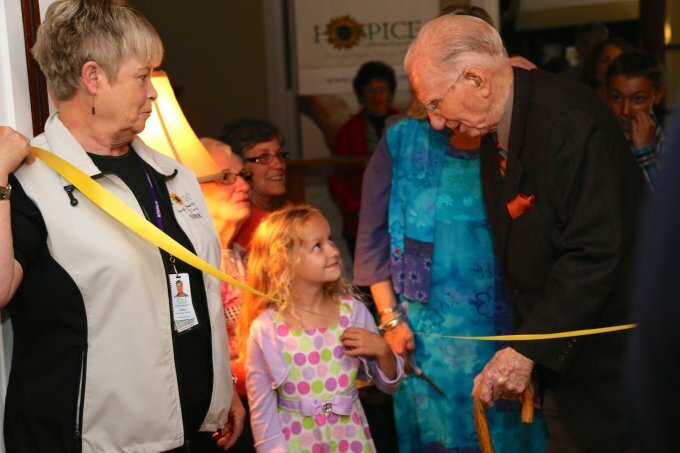 Stella Henderson cutting the ribbon, with Lorne MacDougall and Volunteer Sandra Murphy.